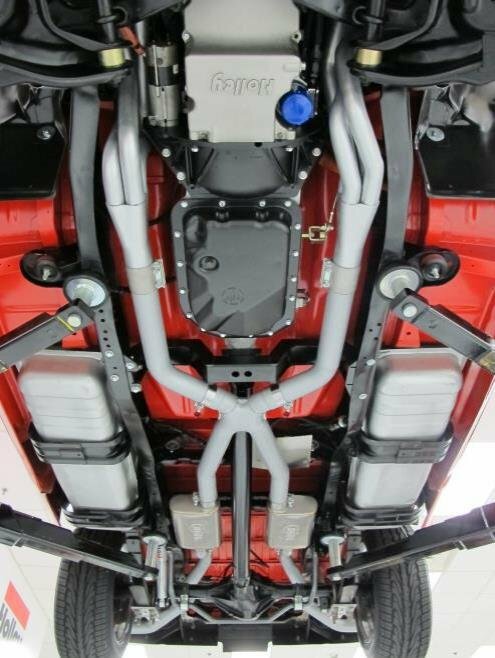 Compatible with standard-duty rear leaf springs only (52” length), cannot be installed on trucks equipped with factory heavy-duty rear leaf spring option (56” length). Connects to 70101503HKR and 70101504HKR full-length headers with adapter P/N 42107HKR. Connects to 8501HKR exhaust manifolds with adapter P/N 70701403-RHKR. 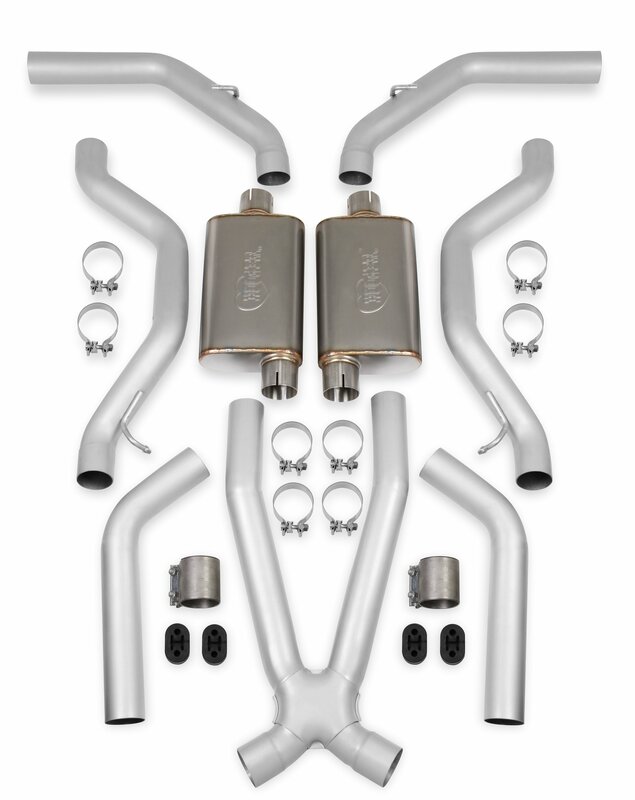 Full stainless steel exhaust system comes complete with stamped crossover for a broad torque curve, TIG welded stainless steel straight through designed absorption style mufflers, for applications up to 450HP; side exits behind rear tires.